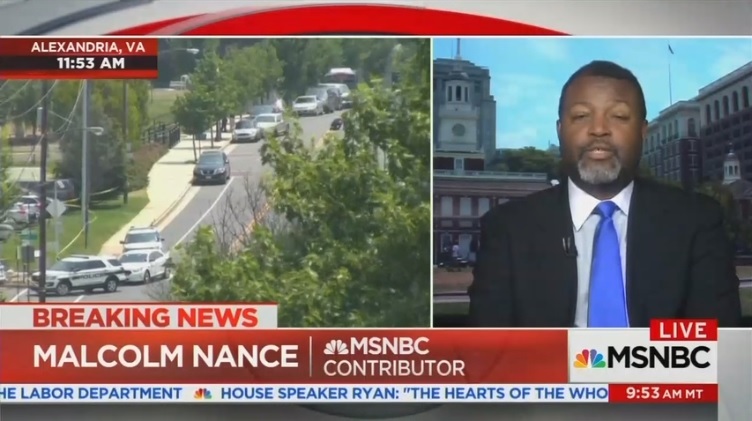 MSNBC counter-terrorism analyst Malcolm Nance, who called for ISIS to bomb Trump Tower Istanbul earlier this year, said Wednesday on MSNBC the shooting of House Majority Whip Steve Scalise is "what happens when you have an over proliferation of guns." "The most important thing we need to understand from this is this is what happens when you have an over proliferation of guns," Nance told Brian Williams, "and it is to be expected to a certain extent." 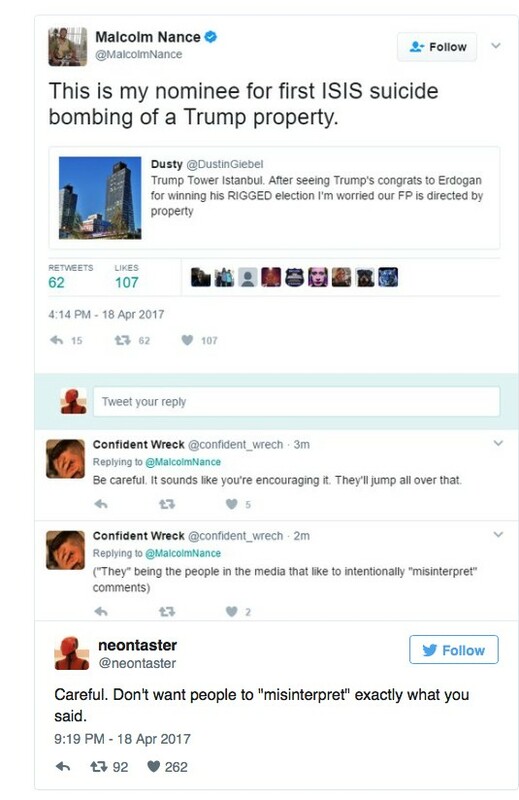 In April, Nance recommended ISIS carry out a "suicide bombing" on Trump Tower Istanbul. Nance later deleted the tweet, he never issued an apology nor provided any explanation for his comment. Nance also said last year that Trump was "the ISIS candidate" because he "inflames" Muslims by criticizing them. The shooter in Alexandria was identified as 66-year-old James T. Hodgkinson, a fervent Bernie Sanders supporter and campaign volunteer who appears to have been radicalized by the hate-filled mainstream media. Former Speaker of the House Newt Gingrich said Wednesday on Fox News he believes the shooting was "part of a pattern" reflecting the "increasing intensity of hostility on the left."